Cleaning - Rug Company Inc.
Rug Company Inc cleaning process is designed especially for handwoven rugs. It is the best type of cleaning for handwoven rugs because it is a thorough wash, not just a surface cleaning. The first step is dry tumbling, which loosens and removes all the deeply embedded soil from the foundation of your carpet. This is the most important step because grit in the foundation is a major cause of wear. We then rotary-scrub the the rug in a low pH bath. 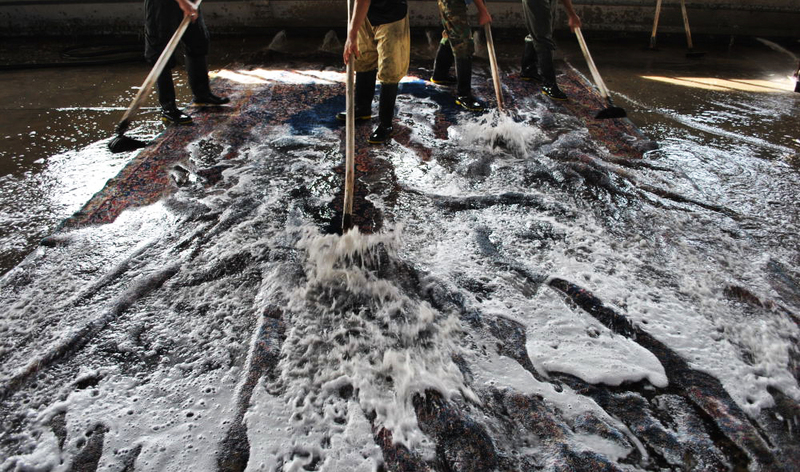 This process thoroughly washes the rug and restores the natural luster to the wool. We then hand-scrub any stains. At the end we rinse and hang the rugs to dry. As part of the washing we can include a moth resistor wash to your rug. If your rugs are heavily soiled and stained, made of silk, or worn and delicate, you should select our “Extra Care” cleaning. This service includes hand-scrubbing and hand-rinsing. 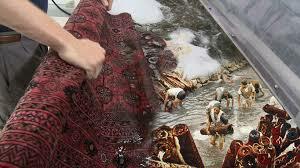 If the condition of the rug permits, the hand-care is in addition to rotary cleaning. 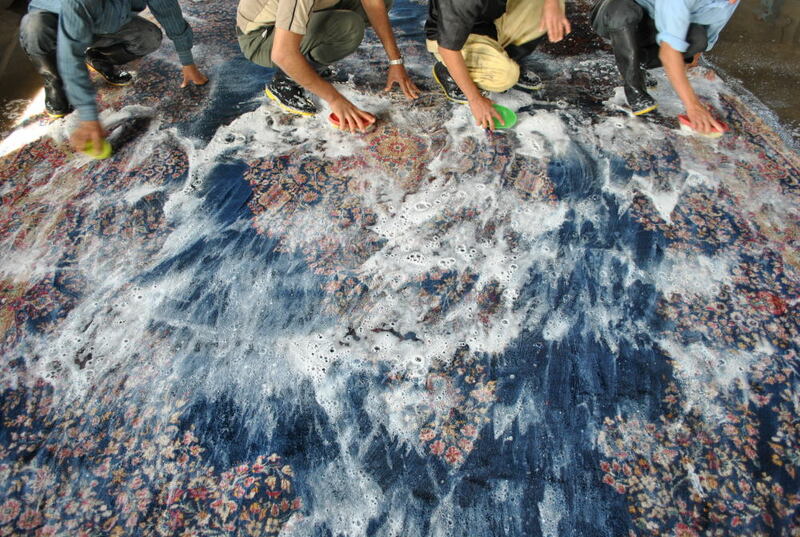 If the rug is too fragile, the cleaning will be entirely by hand.